Choctaw Farms Pecans CINNAMON SUGAR ROASTED. 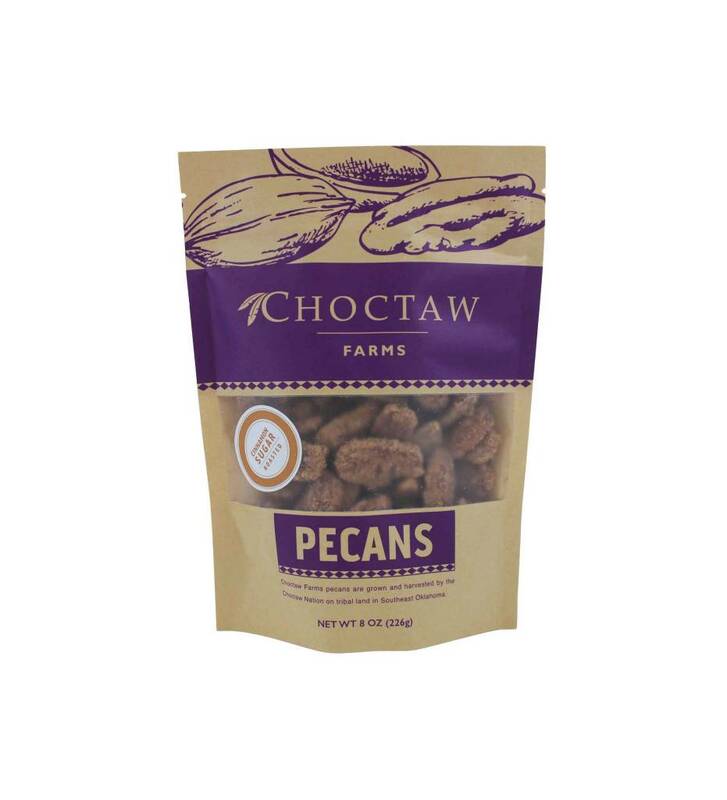 Choctaw Farms pecans are grown and harvested by the Choctaw Nation on tribal land in Southeast Oklahoma. Choctaw Farms Pecans Cinnamon Sugar Roasted 8.0 oz. bag. For thousands of years, hickory nuts were an important part of the diet of Choctaw people in present-day Mississippi and Alabama. In this area, pecan trees were very rare. As Choctaw moved westward on hunting trips, and later through the Trail of Tears, they encountered the pecan nut. Similar to the familiar hickory, but with a thinner shell, they called it "Oksak Fvla", or "Shelled Hickory Nut". For generations, the pecan nut harvest has been an enjoyable fall tradition for many Oklahoma Choctaw families.